In the late seventeenth century two penniless young Frenchmen, Ren Sel and Charles Duquet, arrive in New France. Bound to a feudal lord, a "seigneur," for three years in exchange for land, they become wood-cutters--barkskins. Ren suffers extraordinary hardship, oppressed by the forest he is charged with clearing. He is forced to marry a Mi'kmaw woman and their descendants live trapped between two inimical cultures. But Duquet, crafty and ruthless, runs away from the seigneur, becomes a fur trader, then sets up a timber business. 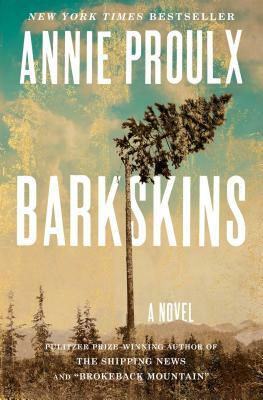 Proulx tells the stories of the descendants of Sel and Duquet over three hundred years--their travels across North America, to Europe, China, and New Zealand, under stunningly brutal conditions--the revenge of rivals, accidents, pestilence, Indian attacks, and cultural annihilation. Over and over again, they seize what they can of a presumed infinite resource, leaving the modern-day characters face to face with possible ecological collapse.